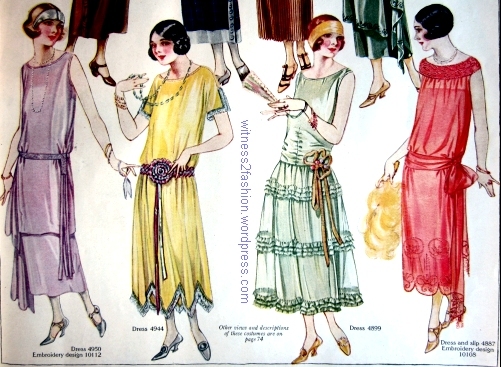 I think that the fashions of the 1920s have fallen victim to the stereotyped flapper, with everyone shortening their skirts to the knee and binding their breasts on January 1, 1920, and then reversing the situation on Dec. 31, 1929. Thanks for the reminder that it is not true! 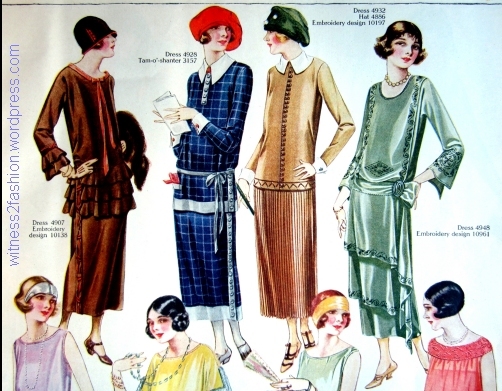 I love the fashions of the 1920’s….. 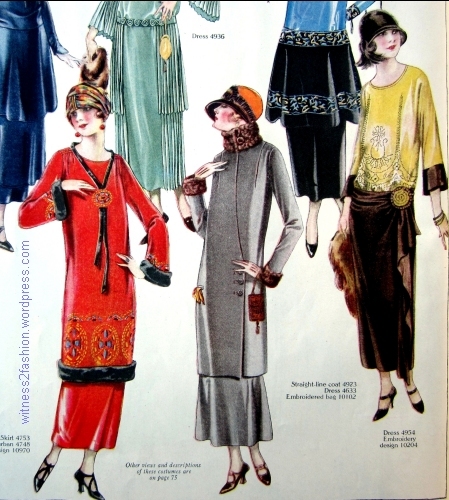 I never realized that the women had no obvious bust lines showing. ??? I did not know they wore breast binders. 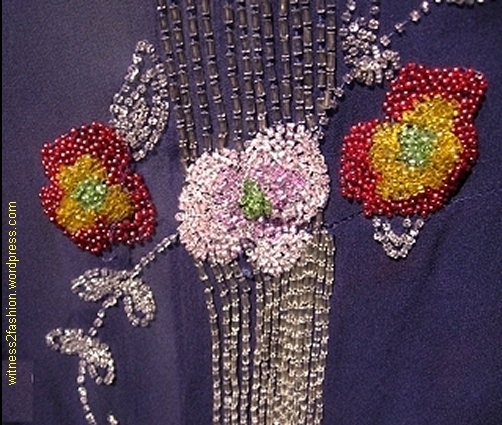 Do you have Breast Binders in your collection of vintage clothing? If you do….I would appreciate seeing one. Thanks for an interesting article, Liz. I learn something new with every blog entry you submit. 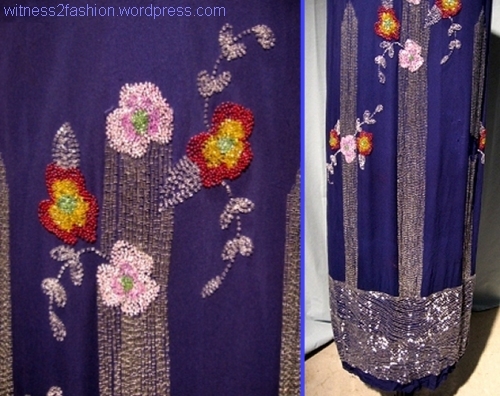 This comment reached me, witness2fashion, instead of Lizzie at thevintagetraveler. 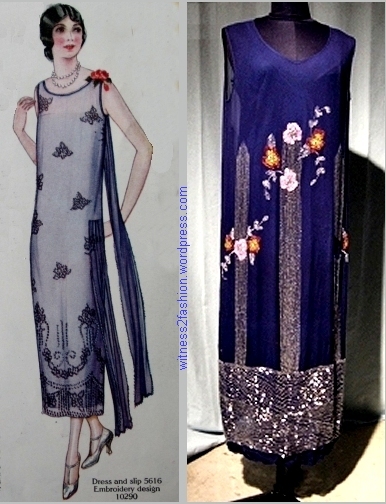 I’m working on some posts about 1920s breast binding brassieres and bandeaux. 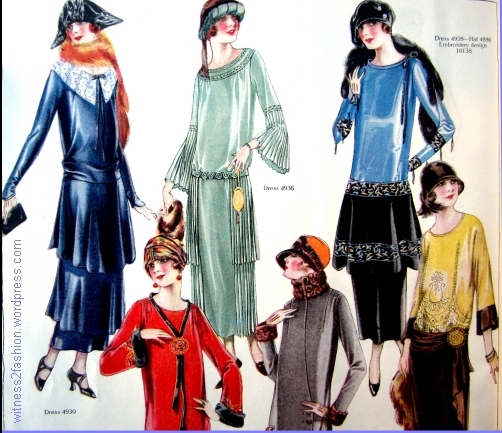 If you have a copy of Stella Blum’s Everyday Fashions of the Twenties as Pictured in Sears and Other Catalogs, see page 95. 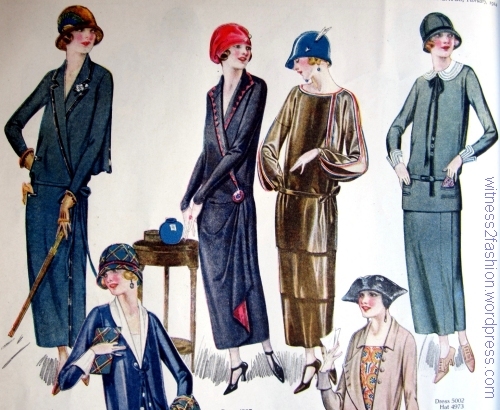 The brassieres of the 1910s & 20s do not look anything like a modern brassiere — no cups!